Pearl Abyss and Kakao Games' Black Desert Online is getting into the Halloween spirit, much like the rest of the video game industry, with a special event. 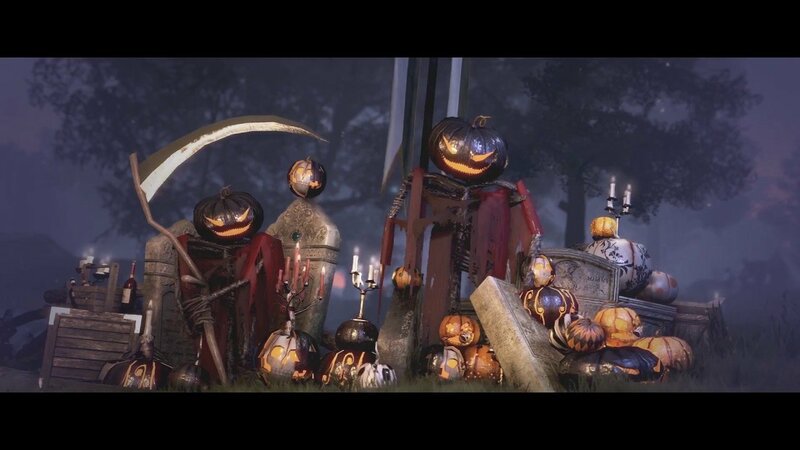 The game, famous for its extensive character creator, is welcoming a new Halloween event with two bosses for players to take on. A new boss named Spook will begin randomly spawning across the world, dropping items like the Black Fabric, Memory Fragment, Golden Pearl, Black Stones, and a swath of other creepy items. Characters of all levels will be able to fight and defeat Spook, as it will adapt to the player's strength and abilities. If your character is level 56 or higher, a harder version of the boss will spawn out in the world. There's also the Black Witch name Isabella who was around last year for players to tangle with. She's back, and will now spawn at fixed times instead of at random so there's more time to prepare for her eventual appearance. Her HP will be shared among all game servers so she'll be a project for all players to grapple with instead of just a boss for one or two to take out. Defeating her will yield the Witch's Bloody Brooch, Halloween Gift Box, Pumpkin Gift Box, Silver and other goodies. When you collect enough 10 Black Fabrics, you can take it to a certain NPC to craft a special costume out of a new selection of them available for the event. The cash shop will also get new Halloween exclusives, with discounts on some items. If you're looking for some Halloween goodness, you'll want to check out this event and get your costume on post haste.